In a survey of 100 Morton East students 89 students agree that Operation Prom Night was a good way to get the message across, but 11 disagree it made any impact. 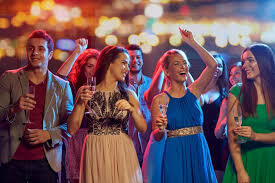 With the annual special prom night coming up this May, there is a big chance of teenagers being irresponsible. During April to July, when prom and graduation approaches, there is a big increase in car crashes involving teenagers. Operation Prom Night was presented to every senior student to show them the results of drinking and driving on prom night. So, how did students feel about Operations Prom Night? “I liked that it teaches many young seniors about the consequences when you make poor decisions of driving and drinking. I think it was valuable because every life has meaning,” said senior Braulio Vargas. “I like it because it shows what can really happen, and sometimes teens don’t really understand or have a visual. It was valuable because the story was really sad — not worth risking life and having regret if something bad happens,” said senior Vanessa Munoz. There was also disagreement on if it was a good message. “I didn’t like how they showed us like a representation of a car accident because it made me sad over a stupid choice. It wasn’t valuable because some teenagers don’t consider this and take it as a joke,” said student Alejandro Muentes. Prom night is a very special unforgettable time and one shouldn’t risk it. One should never drink and drive. It’s better to be safe — take a cab or have parents pick you up. Better safe then sorry.